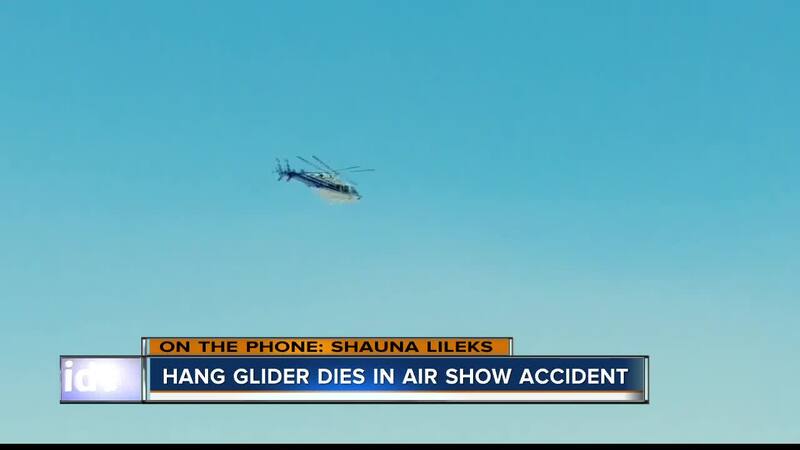 A hang glider who crashed onto the runway at Mountain Home Air Force Base during Saturday's Gunfighter Skies air show has died from his injuries. Witnesses say the crash happened around 1:30 p.m. Saturday afternoon. Announcers of the event assured the crowd the hang glider pilot, Dan Buchanan, was receiving proper medical attention as he was taken to a Boise hospital via life flight. We've now learned he succumbed to his injuries. Witnesses say the crash happened moments after the pilot finished stunts with another plane, but as soon as he released a cable, the crowd watched him nose dive into the runway. The air show was halted as EMS and first responders rushed to the runway. The remainder of Saturday's airshow has been canceled. 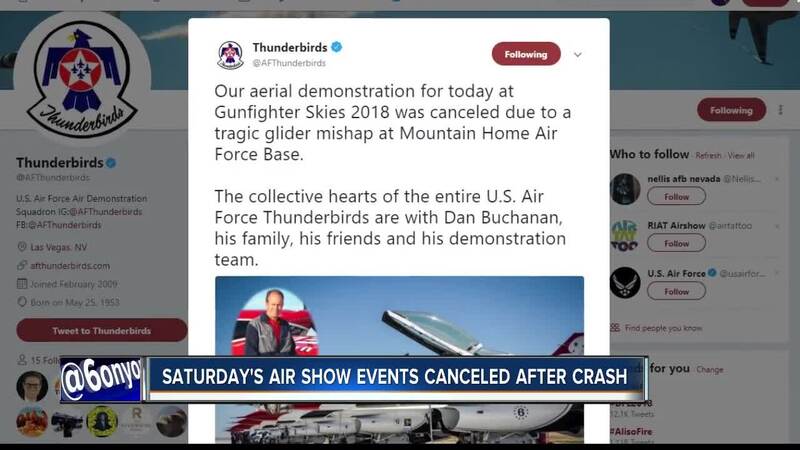 Our aerial demonstration for today at Gunfighter Skies 2018 was canceled due to a tragic glider mishap at Mountain Home Air Force Base. A bio on Buchanan on the Silver Wings of Idaho's website , explains this was not his first hang gliding accident. "He was getting his Private Pilot License when in 1981, he had a spinal injury landing a hang glider in bad weather that he shouldn't have even been flying in," the website states. "Losing his ability to walk, he returned to college to pursue a career in mechanical engineering, landing him in Silicon Valley, CA." Buchanan traveled to perform in air shows around the world. The air show is scheduled to run as planned Sunday in honor of Buchanan. There will be a tribute to Buchanan and an opportunity to memorialize him at the show. The air show will continue tomorrow in honor of our dear friend Dan Buchanan, and all the support he has provided for our air shows. There will be a tribute to Dan and an opportunity to memorialize him at the show.